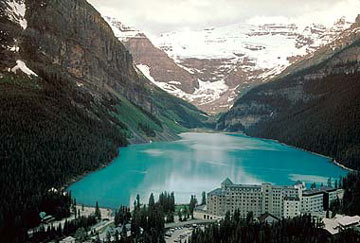 Lake Louise, AB – Lake Louise is probably best known for its views. I’m betting that if you’re planning a Lake Louise vacation, in fact, that you’ve already seen a photo or two of this amazing turquoise colored lake, with the chateau in the background. 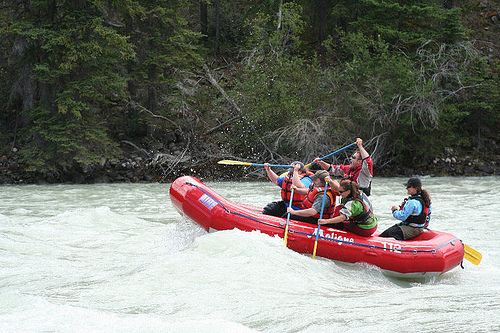 Lake Louise is more than just a pretty lake. But believe it or not, there’s more to a Lake Louise vacation than soaking in this view. Lake Louise also boasts some of Canada’s best powder skiing and Canada’s best hiking. The Lake Louise Ski Area’s four mountain faces give you a total of 4200 acres of skiable terrain; and with an average snowfall of 454 cm and a beginner run from the top of every chair, everyone will enjoy their Lake Louise ski vacation. Don’t miss the amazing Powder Bowls that you’ll find on the backside of the mountain. You’ll find some wide open skiing in a huge 2500-acre area and feature some of the steepest pitches in the Rockies. 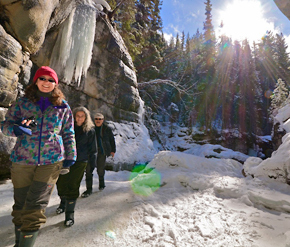 The Lake Agnes Trail is a nice gentle hike perfect for those who have not been keeping themselves fit by the bar fires during winter. All you need for this walk is a bottle of water and good, light shoes. The first 1.6km is a very gentle but mesmerizing trek through subalpine forest. If you have an interest in trees and vegetation, you are more or less going to be in heaven here! At 1.6km, you will see views of Fairview Mountain and can usually see a few more extreme hikers who have crawled to the summit to get unique views of gorgeous Lake Louise. This is a short little hike that starts from Lake Agnes, 2 km total, and just a 105 m elevation gain. Great for family vacation hikes with young children. One of the most popular hikes in the Canadian Rockies, that is fairly short, with awesome view. Just hug the shore line of Lake Louise on the trail head below the cliffs at the Lake’s foot. 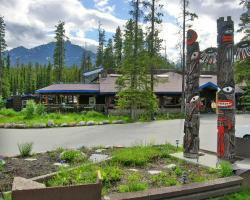 You’ll get a great look at Victoria Glacier, moraine fields and Lake Louise. Thei hike is 10.6 km, with a 365 m elevation gain, and takes about 4 hours. A difficult hike but worth the work, Fairview Mountain offers sheer clifs, and breathtaking views. 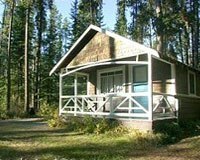 Start at the Lake Louise boathouse and follow the Saddleback trail for 0.3 km then hang a right to get to this great Lake Louise lookout. It’s only about 2km, with a tine 100 m elevation gain and takes just an 1 hour.